Sony has now officially rolled out XperiP LT22i Android 4.1.2 Jelly Bean 6.2.A.0.400 firmware the very first to get in Xperia NXT series before Xperia S, Xperia SL and Xperia U. Well it’s a great update from Sony, many new features have been listed in the firmware as promised. Now for all those Xperia P LT22i users who have not got notification for Jelly Bean update on their phone and are not able to update it via PC companion or SUS or OTA method, they can now manually update Xperia P via flashing Jelly Bean 6.2.A.0.400 firmware ftf file. First of all we need to download the Jelly Bean 6.2.A.0.400 firmware ftf file from give below links. Bootloader must be unlocked on your Xperia P. If you don’t have unlocked bootloader. Kindly unlock it. 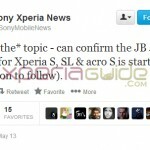 Read official steps from Sony. 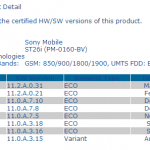 Ftf file only for Xperia P LT22i users. Back up all your data before flashing, as explained above. How to flash Jelly Bean 6.2.A.0.400 firmware ftf file manually on Xperia P LT22i ? 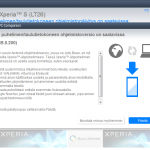 1 – We need to download the Xperia FLASHTOOL for flashing the ftf file. 2 – As soon as you download Xperia FLASHTOOL. Install it on your PC, it will take 417 MB space on your PC. Let us say downloaded file location on your PC is “C:\Flashtool”. Go to this folder, and in the “drivers” folder find file “Flashtool-drivers” as shown below. 3 – Run the program Flashtool-drivers as “Administrator” . 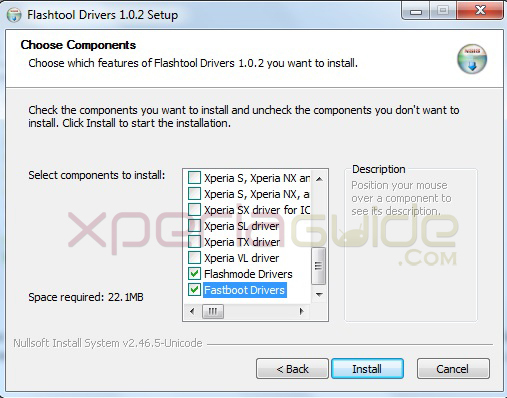 In the scroll box of option “Select components to install”, Do “Check Mark” the options > “Xperia P, U and Sola Drivers”, “Flashmode drivers” and “Fastboot drivers”. Total space required would be 22.1 MB. Click on “Install” option. Check below for screenshot. 4 – Wait for the drivers to install on your PC. As soon as the drivers have been installed successfully. Go to “C:\Flashtool” and in the folder “firmwares” paste the downloaded Xperia P LT22_6.2.A.0.400_World Generic.ftf in that folder. 5 – Now run the main “FlashTool.exe” file from the folder, as soon as it open you see written “Device disconnected at the end”. 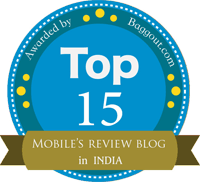 Check image below. 6 – Now Switch off your Xperia P. Now after waiting for 30 seconds, connect the USB cable to your PC and now pressing “Volume Down” button connect USB’s other half to your Xperia P (Flashing key for Xperia P). As soon as your phone is connected you will see “Green” light blinking in the notification LED this is called booting into Flash Mode. Now you will see as “Device connected in FLASHMODE” in the screen of Xperia Flashtool. Check screenshot below. 7 – See in the top left corner above you will find a black thunder icon, click on it, choose “Flash Mode” and navigate to folder to select the ftf file you placed in “firmwares” folder above in step 4. 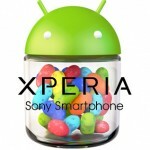 8 – Click OK, the Jelly Bean 6.2.A.0.400 firmware ftf file will be flashed on your Xperia P now. As soon as flashing is done, screen says “Finish”. Disconnect your phone from PC and reboot. NOTE : The very first reboot after flashing will be very slow, later it will be stabilized. 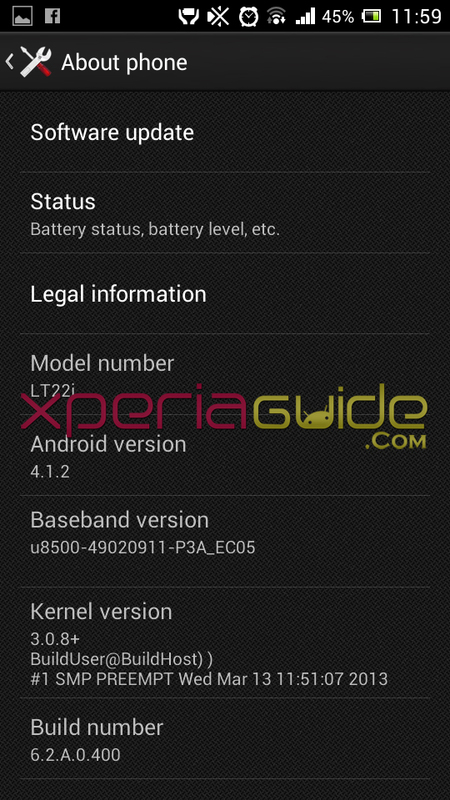 We hope now you have successfully updated your Xperia P LT22i on Jelly Bean 6.2.A.0.400 firmware, well to tell you it’s a great update. Check all the latest features like more RAM upto 801MB, STAMINA Mode, Google Now, new MEDIA Apps have been added to the update. 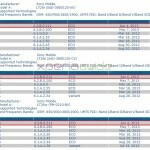 If you still want to officially update you Xperia P LT22i on Jelly Bean 6.2.A.0.400 firmware via PC Companion or Sony Update Service or via OTA Method then, check out our exclusive post below. 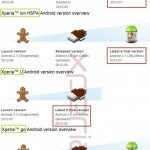 GUIDE :- How to Update Xperia P LT22i to Android 4.1.2 Jelly Bean 6.2.A.0.400 firmware Officially via PC Companion or Sony Update Service or via OTA Method ? Well it seems, the link is kind of broken…sorry will update soon. i followed your steps, after the completion of process i tried to power on the phone but failed. my phone is not working now when i press the power button i just got a red led that blinks and disappears and sus didn’t detect my phone. man, you hard bricked your phone !! you need to take it to Sony Service Center to fix it. do I need USB debugging turned ON ?
. the question is how much chances are that my phone will not hard bricked ? perform each step with care it will not be hard bricked, if you fear get your phone updated via Sony service center through EMMA software. I had a quick question!